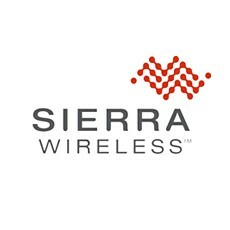 As exclusive wireless communications technology sponsor, Sierra Wireless offers healthcare startups innovative solutions for integrating wireless connectivity into new devices and applications to improve patient care. Sierra Wireless today announced a sponsorship program with MedStartr, the first crowdfunding platform created to fund healthcare projects, startups, and innovations that help people live longer, healthier lives. As an exclusive sponsor, Sierra Wireless is the preferred provider of wireless communications technology for MedStartr companies. “We are very excited to have Sierra Wireless, a global leader in wireless communications, engaged with our innovative healthcare clients,” said Alex Fair, Founder and CEO of MedStartr. “Healthcare is a growing market for wireless connectivity,” said Olivier Pauzet, Vice President of Market Strategy, Embedded Solutions for Sierra Wireless. Sierra Wireless is offering developers of healthcare device startup companies the opportunity to win a development package that will enable an end-to-end healthcare device management solution. This package includes a Sierra Wireless Development Kit, embedded software development tools, a six-month trial account for up to 5 devices to connect to AirVantage M2M cloud, enhanced with a pre-paid 20 MB SIM card from a Sierra Wireless M2M operator partner, valid for six months. In addition, MedStartr will offer a consulting session for winners on using the MedStartr platform for crowd funding.